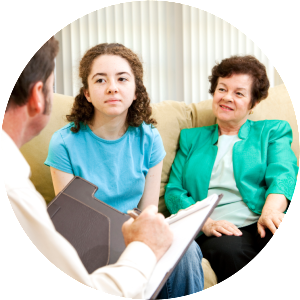 New Oakland offers traditional outpatient and counseling services to address the many needs of the adults, teens and children we serve. With a team of more than 100 licensed therapists across the Detroit area, the New Oakland offers expertise in the full spectrum of mental health needs. With a wide range of professionals on staff, New Oakland therapists are also able to match the resources of our team to the important diverse cultural expectations of our clients. Traditional outpatient services are the least restrictive means of treatment and may include individual, group, family and medication management focused treatment. These outpatient services are based on the client’s needs and may involve weekly, bi-weekly and/or monthly scheduled sessions. Outpatient therapy visits may be part of or separate from New Oakland’s more intensive the FACE to FACE program.